In our bird collection are the bird feeds a resounding success. 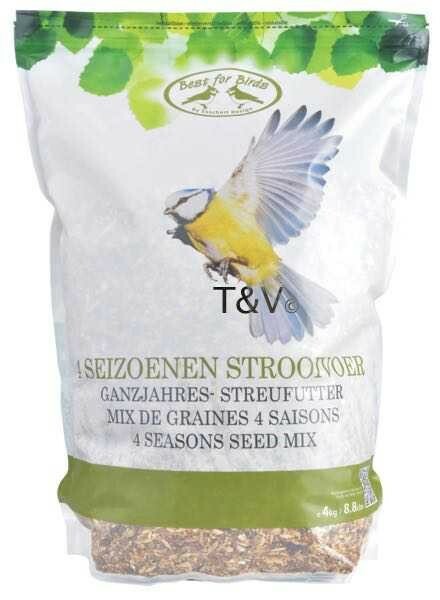 The four seasons seed mix enter these user resealable bag will find a ready market among your garden birds. Best before: see stamp bottom pocket. Keep cool and dry.